It is now a very busy time for the yard as with Doncaster starting this weekend, we have the turf string ready to hit the track. Ironically, we only have one intended turf runner for the time being with Master Grey at Doncaster as there is a distinct lack of turf action, something that really needs to be addressed as the fixtures previously held at Folkestone and Warwick have been replaced by AW contests. 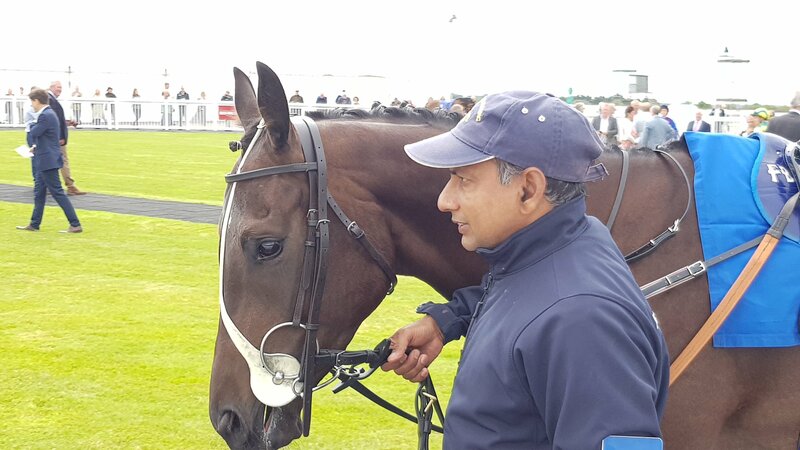 From a family we know well, it will be very interesting to see how this son of Dalakhani (pictured) does on his three-year-old/handicap debut. A half-brother to Taws and Duke of Bronte who both excelled for the stable in recent seasons, he should improve plenty this campaign. A slightly different type to his two siblings, he was able to run three times at two (only Taws managed one run as a juvenile) and he may be a much sharper individual so we are not sure what his best trip will be and he starts off at a mile this evening. It is a decent Class 4 contest but with only six runners it is a nice starting point and will help plan the rest of his campaign. A mare that ran in three bumpers for Martin Hill and has joined us for a flat campaign. She faced a very tough task behind the decent Gumball and Verdana Blue last time but showed enough to suggest that she can be competitive when going handicapping. This is her third run in Novice company and both her and our apprentice rider Ollie Searle should learn from the experience. A nicely bred Motivator gelding who has a mix of speed and stamina in the pedigree so starts his career off at a mile. Like all of our horses, especially the three year olds, he will improve plenty for the experience but this looks a nice starting point for his career. 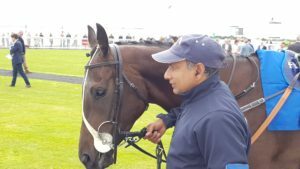 A model of consistency last season, gaining a thoroughly deserved break through win at Salisbury in August and was placed in six of her eight other starts. It is her first run of the season and it will be interesting to see if she sees out the mile slightly better now she is a year older. Oisin Murphy rides and from a good draw in stall 2, it will be a nice starting point for her campaign.